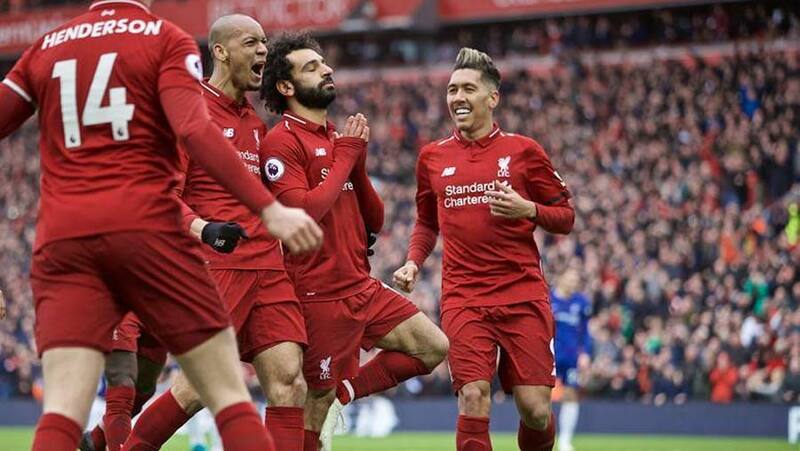 Mohamed Salah blasted in a stunning long-range goal to seal Liverpool’s 2-0 win over Chelsea that kept the team top of the Premier League on Sunday (Apr 14). Chelsea remain fourth, a point behind Tottenham Hotspur, who have a game in hand on their London rivals. Maurizio Sarri's side could also be overtaken by sixth-placed Arsenal, who are three points behind them, when they face Watford on Monday.